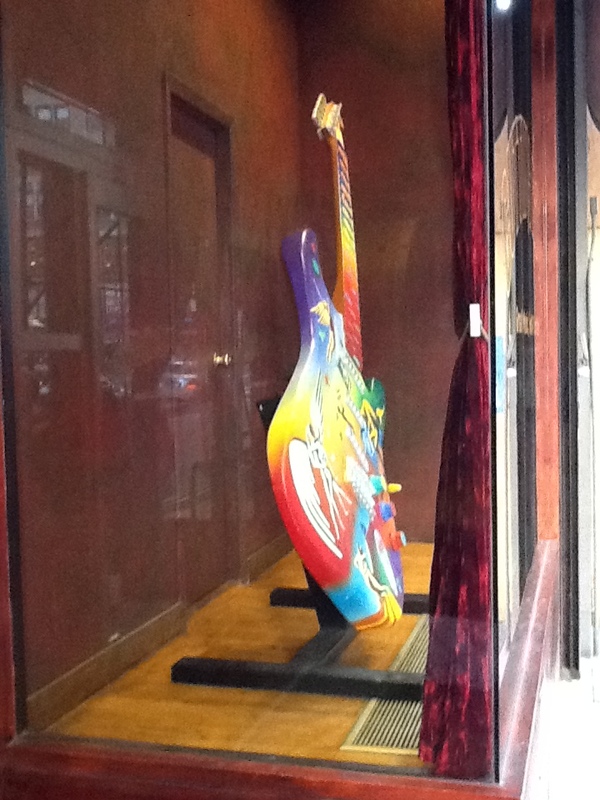 The Cutting Room is a somewhat upscale, intimate music venue here in Manhattan that features a foodie-friendly menu, a bar shaped like a guitar neck and interior décor not entirely dissimilar to that of a Hard Rock Café. At some point in the past couple of years, The Cutting Room, which originally had a vibe much closer to a British Pub than a hip Rock Club, moved from West 24th Street (now home to many excellent restaurants) to 44 East 32nd Street and Park Avenue. You can now literally crawl, if necessary, to or from the club and the 33rd Street stop on the number 6 train. So, convenient! One of the things I like about the inside of The Cutting Room is all of the bitchen original art they have. Right near the front door hangs a group of Black & White painted portraits of The Beatles that would knock your socks off, and inside the room where the bands play they have a half a dozen or so paintings by Mark Kostabi, who is one of my favorite contemporary artists. 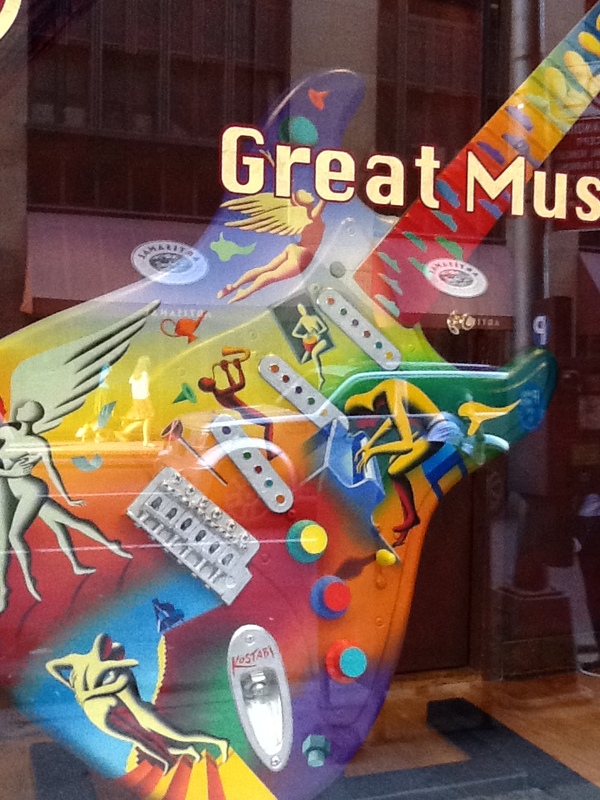 What will grab your eye while you are still on the street, however, is the oversize Guitar Sculpture displayed in the front window, which was painted by Kostabi as well. It is totally awesome. 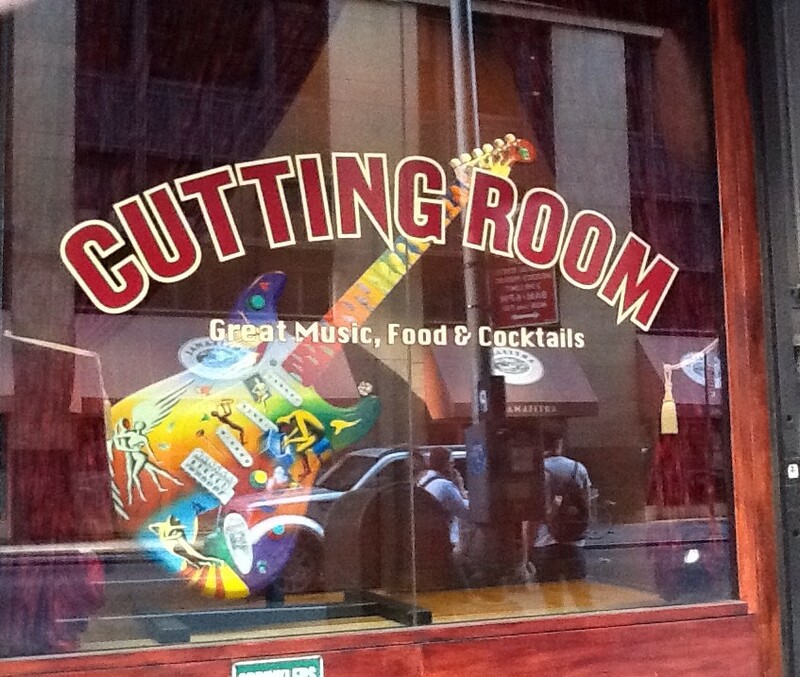 Find out more about The Cutting Room’s Happy Hour, take a Video Tour of the place and see what shows they have coming up at This Link.